Zoom Airlines has suspended operations with effect from 19:00 hours (GMT) on Thursday 28 August 2008. Both Zoom Airlines Inc and Zoom Airlines Ltd, the Canadian and UK airlines, have started administration proceedings in their home countries. All Zoom flights have been cancelled and aircraft grounded. For customers who have future travel plans involving a Zoom flight for which reservations and payment have been made, you should refer to your credit or debit card company to apply for a refund. Unprecedented increase in the price of aviation fuel and the economic climate were the reasons for this sudden closure. You may think it is too early for us to post information about 2008-2009 Banff snowmobile tours while we are still experiencing temperatures in the mid-30s (in the 90s in Fahrenheit! 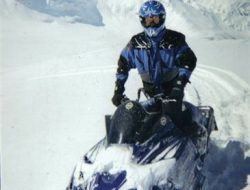 ), but we just wanted to let you know about our snowmobile tours out of Banff, Canmore and Lake Louise for this upcoming 2008-2009 winter season. 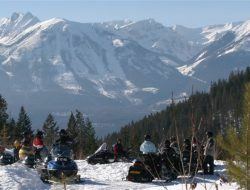 Banff snowmobile tours are a great way to experience the great Canadian Outdoors in the winter time! This year, there are even more snowmobile tours for you to choose from, from full day family tours to high powered adrenaline tours, you will not be disappointed! 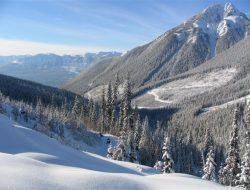 There is no wonder that snowmobile tours in the winter months are one of our top most popular tours booked. In addition to the regular day snowmobile tours, there are also overnight ski and snowmobile packages as well as two-day snowmobile accommodation packages. Snowmobiling does book up especially over the holiday periods, so pre-booking is definately recommended to avoid disappointment. Combine any snowmobile tour with a ski package put together by us and receive 10% OFF when pre-booked before November 15 2008. This offer CAN be combined with any of the many ski specials we currently have! The Zoom Airline’s “KIDS FLY FREE” promotion has been extended to August 31 2008. Details on this promotion had been posted earlier on this blog. Just enter “Children2008” under the promotions tab to receive this saving. If you have any problems with this promotion, please post here! For those of you wishing to travel to Whistler from Vancouver on the Sea-to-Sky, there is finally good news about the rock slide which has blocked the road for some days. The Sea-to Sky, Highway 99, re-opened at 11 pm last night, Saturday August 2nd 2008. Please expect delays due to extremely high traffic volumes and continued clearing efforts.